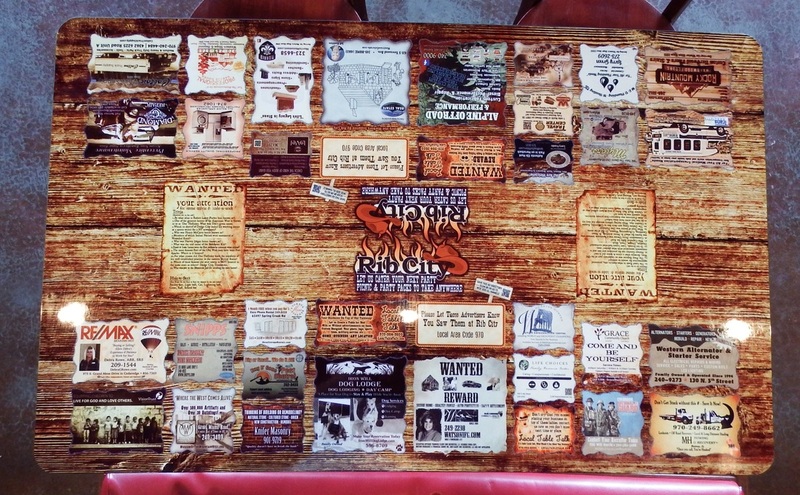 Make your restaurant stand out from your competitors with custom designed, quality tabletops that will enhance your restaurant. We collaborate with you and the local business owners in your community. Your patrons will be entertained with what's on the table (rather than their watch), while you prepare their food. Do you own a restaurant that has been in business at least 5 years? Are you looking for new tables for your restaurant? If you answered yes to all of the above questions, you may be a good fit for our Free Restaurant Table Promotional Program. YES! 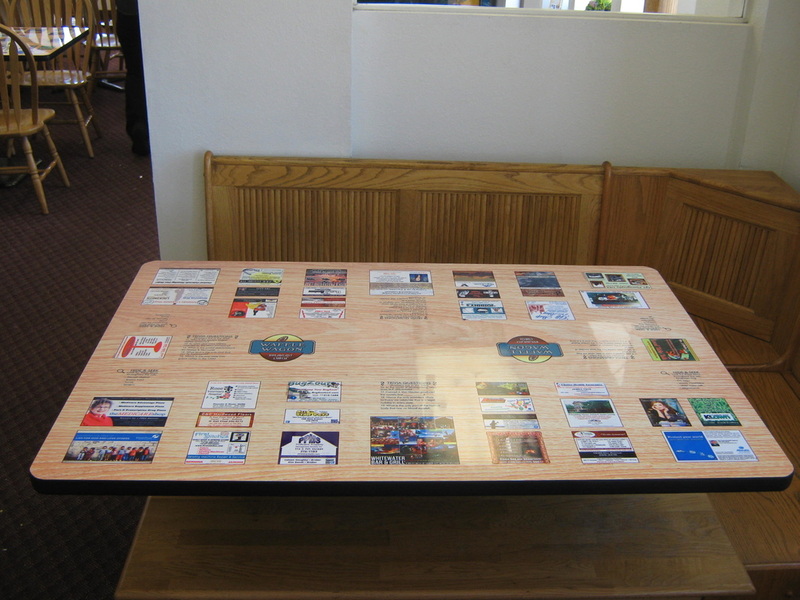 Free Table Tops for your restaurant. We also do coffee shops, ice cream parlors, bowling alleys and anywhere the public gets together. You will also find custom designed, hand crafted tables for sale. See the Custom Tables tab above. This set of tables was done in Sepia with toned down colors.